If you work in the business world, the web is part of your daily life. With 3.7bln users, 127bln of emails sent and 2.9bln of Google‘s Search at the time of this post. For sure the web is the place you have to be. A few common denominators are shared by business professionals, online marketers, and digital entrepreneurs. Those are potential clients, partners, and relationships! We write dozens of emails per day, most of them get written when we rush, are tired or not paying full attention. Others write content to build their online following and build a sales funnel that converts. Yet the difference between being an amateur to being a professional is to have your grammar in check. However, none of us is an English teacher. How do you solve this impasse? The Grammarly Extension is the answer! Grammarly will show you the mistakes you’re making when writing and then allows you to check them all when finished. In this way, you can write with no effort and quickly without worrying about Grammar, just like I’m doing right now! Who cares? I’m writing so fast that I’m making spelling mistakes yet with Grammarly I can quickly check and correct them once finished writing! Not only Grammarly helps me with my grammar mistakes, but it also suggests style adjustments to make it more readable. Although I like that feature too, I usually don’t make all the custom adjustments Grammarly suggests because I like to keep my style personal. Therefore, even though not 100% elegant I still prefer to keep it as it is! Time to hack your competitors. How? With the Similar Web Extension. 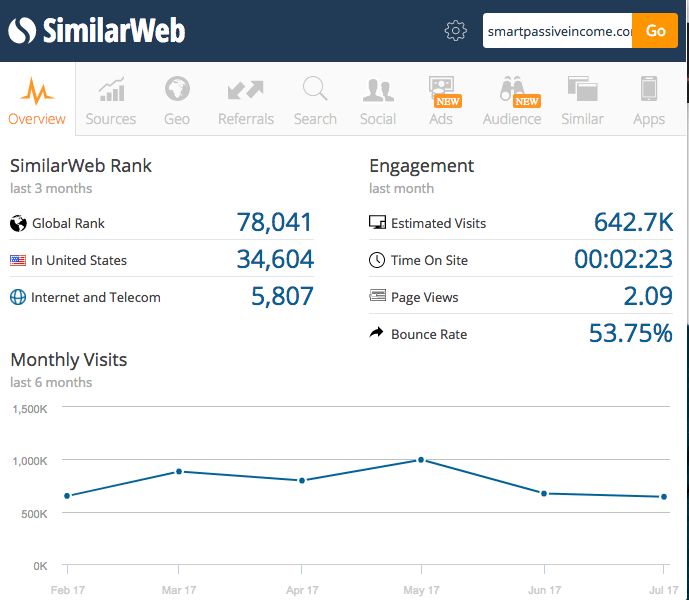 If you’re not familiar with it Similar Web is a great tool to reverse engineer your competitors by looking at their main metrics. From traffic sources, to referrals and keywords, Similar Web is the ultimate tool for the growth marketer. 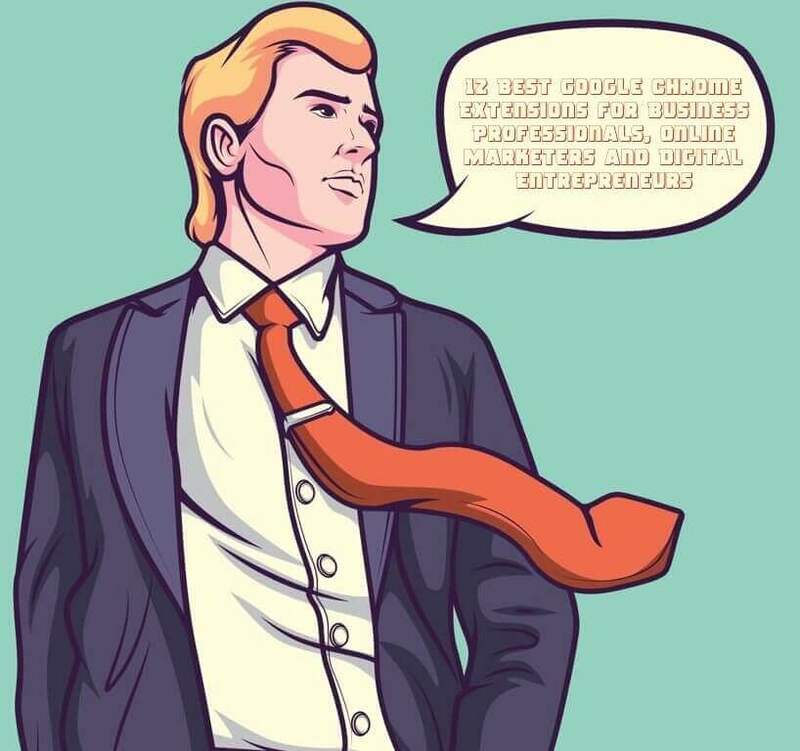 There’s a warning though. Which one? Bare with me! In other words, Similar Web was accurate in almost one-fourth of the sites analyzed. Yet that accuracy swings between 70–130% of actual traffic. Therefore, let’s say Similar Web says traffic of a site is 100K monthly. Consider that more as a range (from 70–130K monthly visitors) rather than an actual number. That means you want to look at the numbers coming from Similar Web as an estimate and a range rather than an absolute number. That is very useful for comparative analyses among your competitors. Let me just tell you that when I saw this tool, I got ecstatic. Why? As online marketer emails are a vital part of building relationships with clients, colleagues and potential partners. Mixmax Extension is what put all together! 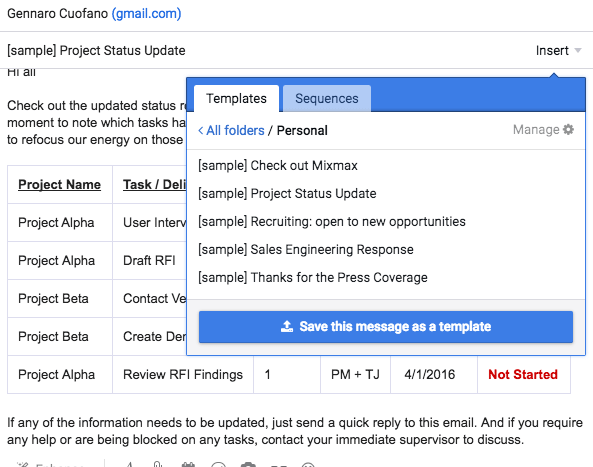 From email tracking, templates, and automation that is a fantastic tool for email marketers or for anyone that wants to be on top of his game. From now on your online prospecting will be way more efficient! Good news you can use the tool on other social media too. 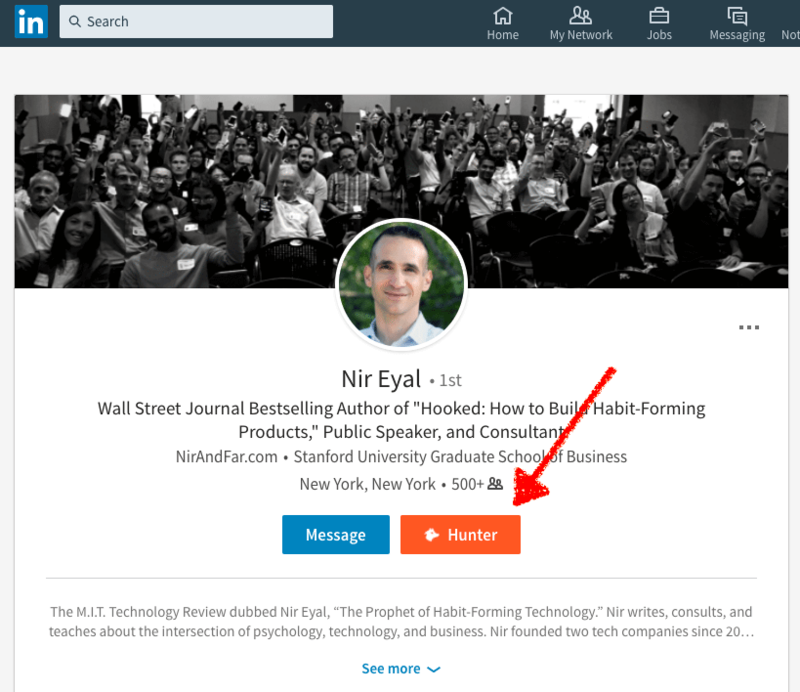 For instance, that is how your Hunter Extension will look like on LinkedIn. 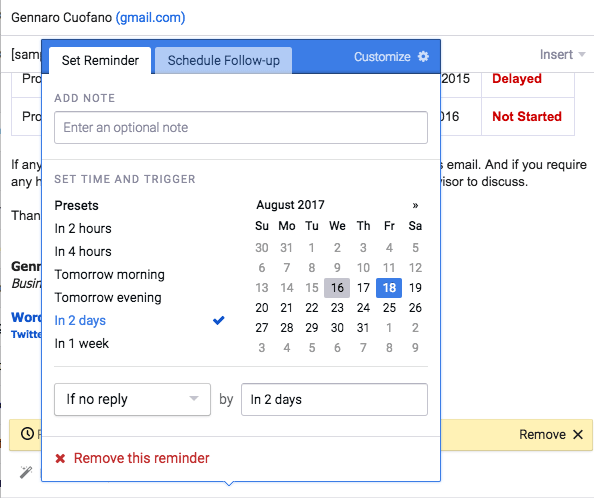 Independently from you having or not that person on your network you’ll be able to hunt his/her email with a certain threshold of confidence! Will Voice Search Bring an End to SEO? Think of all those times in which you had an unreliable internet connection, and while writing an important email you’re interned dropped, and you lost it all! While screaming and shouting you then calmed down and started thinking how cool it would be to have a tool that allows you to write emails from offline. Well, stop imagining, because that tool is available now and that is Gmail Offline Extension! Each time you see anything cool on the Web, it makes sense to note it for later use. You can share it, use it as a note for a piece you’ll write. Mention it to a client during a call. 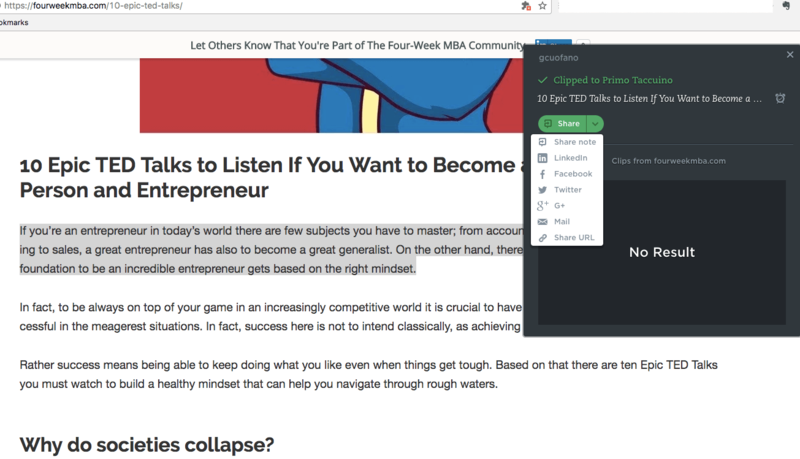 For this and much more Evernote, Web Clipper Extension is a great tool! SEO stands for search engine optimization. As you might know, those are a set of tactics and strategies to make your content easier to understand, find and interpret by search engines. In this, way, those engines can bridge the gap between you and your audience, by letting you get found by the right people. Producing high-quality content is per se an SEO strategy. Yet there are some technicalities to take into account when building a website, such as the number of backlinks or how many keywords is the content ranking for and a few others. In fact, search engines like Google use over 200 factors to index and eventually rank your content. As you can imagine focusing on all those factors would be a waste of time. There are a few significant factors that play a greater role in your rankings. 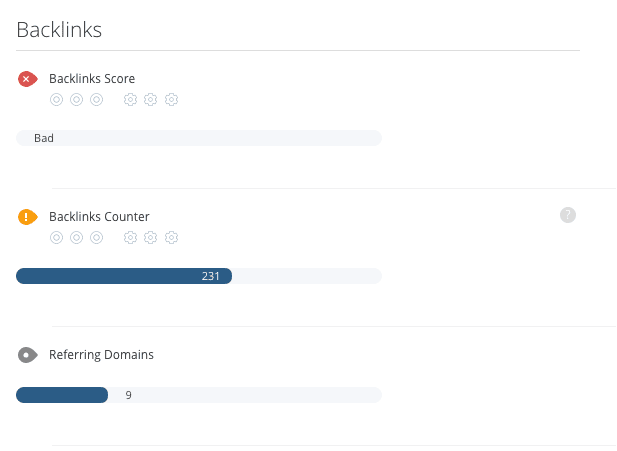 WooRank allows you to spot the major factors affecting your SEO strategy. That is why I suggest you check out the WooRank Extension! That is where I’ll be focusing my SEO effort in the coming months! Do you ever find yourself in such a messy situation? If you’re like me, that should happen to you on a daily basis! At times you’re so enslaved to those open tabs that you won’t switch off the computer for days. 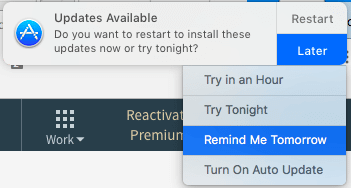 With that notification that pops on the top right corner of the screen each day you let the updates accumulate for months if not years! 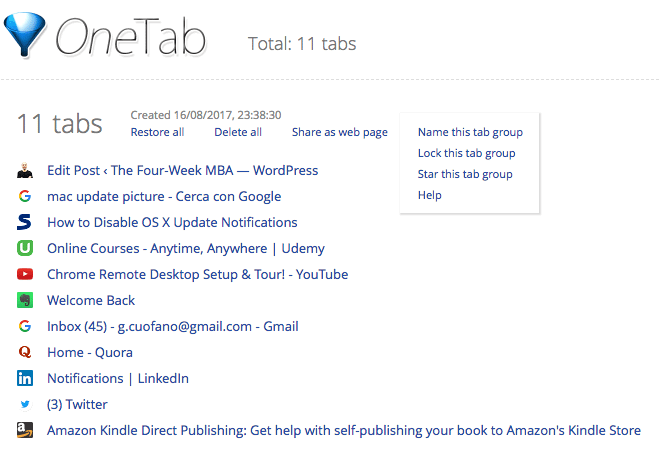 After using OneTab Extension, you’ll stop feeling enslaved by those tabs! Content marketers are increasingly using interactive materials. From audio, video, pictures and GIF; making your content captivating isn’t anymore about words but more and more about images. In this scenario, finding the right GIF is like finding goldmine! 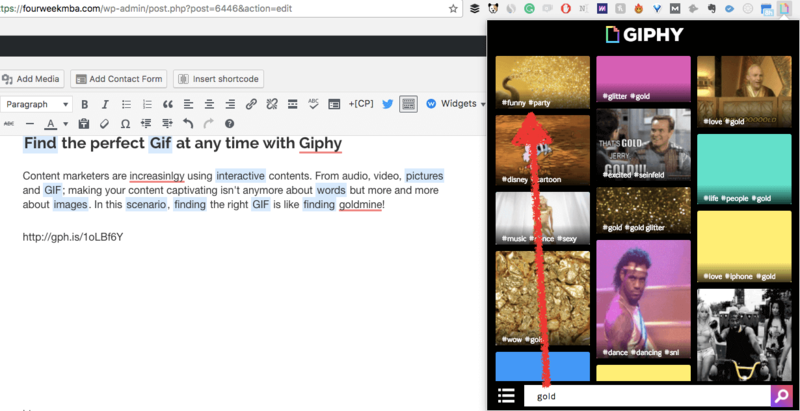 Well, now finding your goldmine at any time has never been so easy with Giphy Extension. That is how I found and added the GIF above in a few seconds! Email marketing is a great way to grow your business and nurture your professional relationships. Yet if you want those relationships to be successful ou have to get out from the email tab and get into the social profiles of your prospects, partners, and customers. How? Rapportive Extension is what bridges the gap between the Gmail account and your potential partners, prospects or clients by showing you rich cards of your contacts social media right into your Gmail account! That is how you will make the most of your relationships in no time! We saw what SEO is for (in WooRank Extension) and why it makes sense to focus on it. For anyone that is in the SEO industry Moz is one of those tools that you must have if you want to make your SEO strategy more effective. 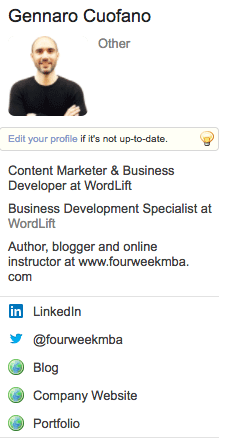 That is why it makes sense to use the Moz Bar Extension. 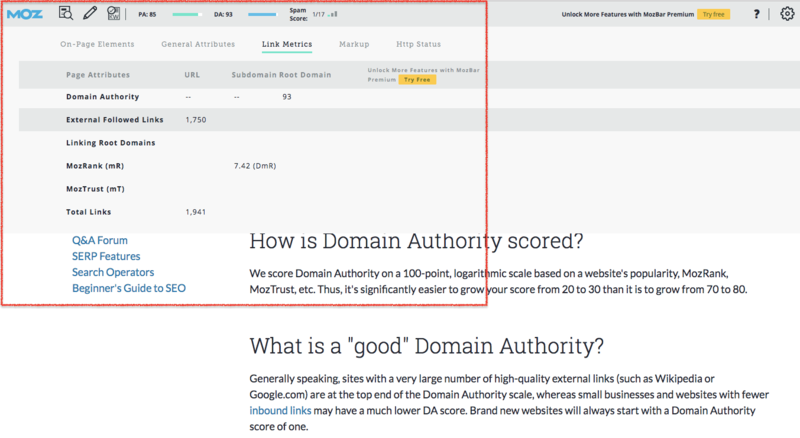 The Moz Bar will give you the Page Authority and Domain Authority of a page/website. 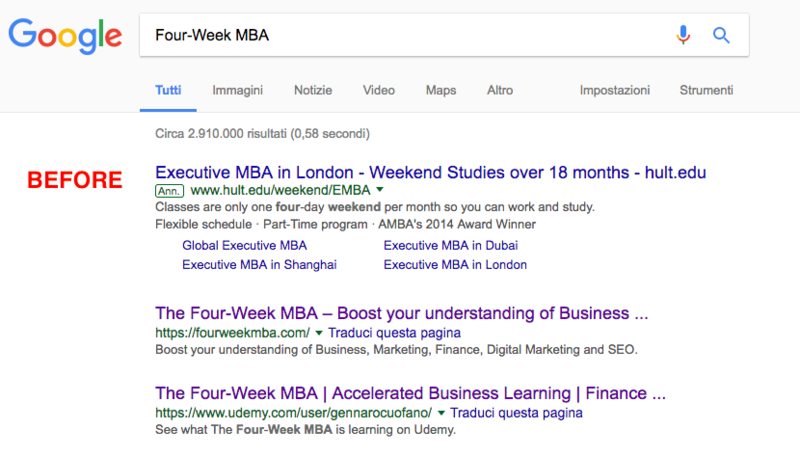 In other words, those are scores that predict how a page/website will rank in Google’s SERP (Search Engine Research Page). As you can imagine the higher the better. Now you can use Moz Bar to have a quick glance at any website or page of a website. I took the time to test those tools because I wanted to be a better online marketer. Yet those are only tools. What comes first is the right mindset. A mindset that makes you experiment, test and to try new things, not for the sake of them but because they can help you build, nurture and foster relationships. Your turn! Zest – Distilled Marketing Content: Zest is a community of marketers but also a chrome extension to keep up with the latest and best content available and at the same time syndicate your own content! Keywords Everywhere: a chrome extension that powers up your Google tabs by giving you valuable SEO data, from search volume of keywords to related keywords. In this way, you can research more efficiently the keywords to amplify your content marketing strategy. Structured Data Testing Tool: structured data is what search engines use to understand web pages. This tool connects with the official structure data testing tool from Google that allows you to check what metadata Google can read on your web pages.